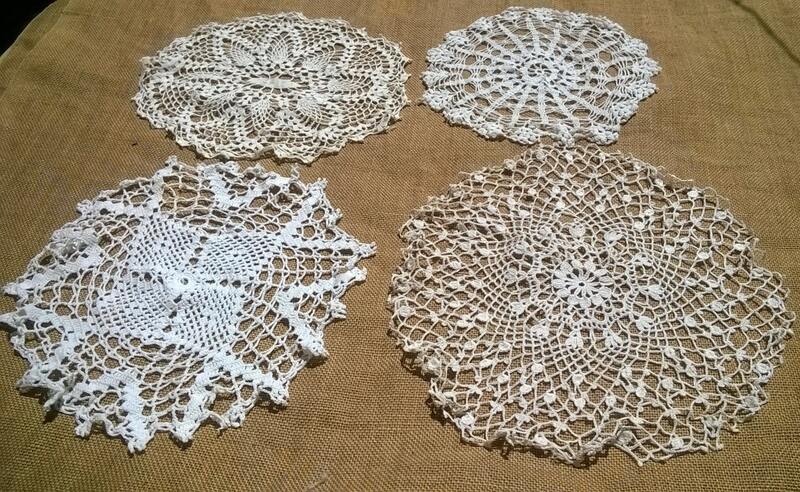 Set of 4 Doilies. 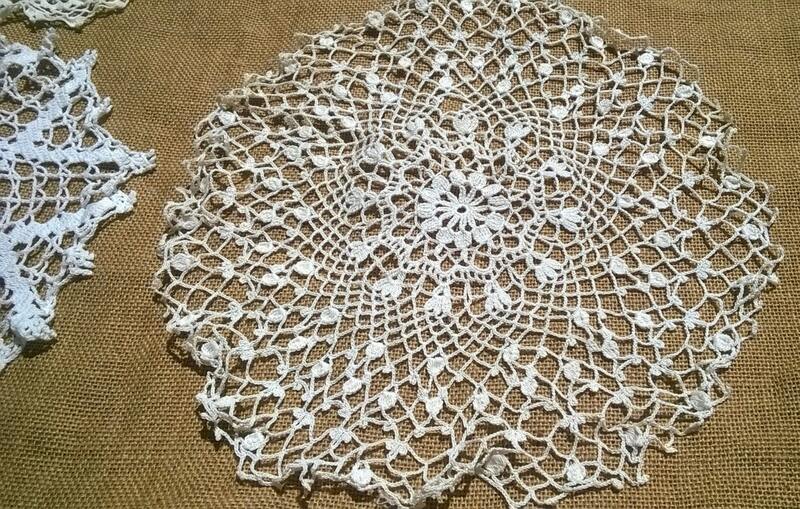 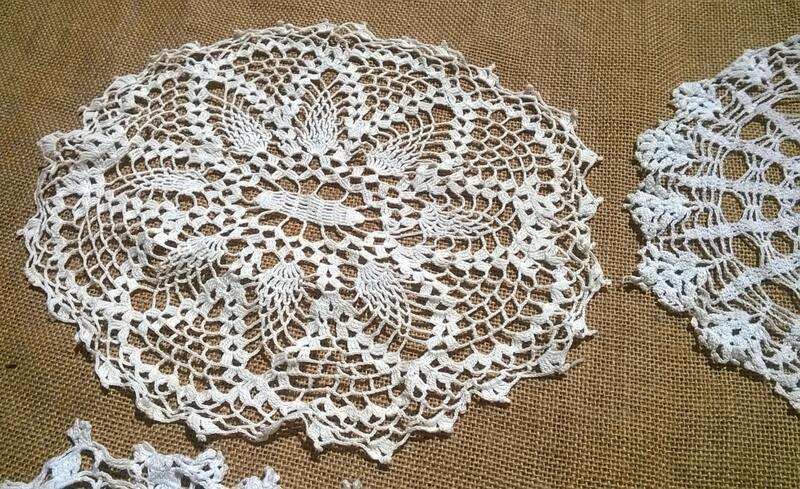 French Hand Crocheted Cotton Lace . 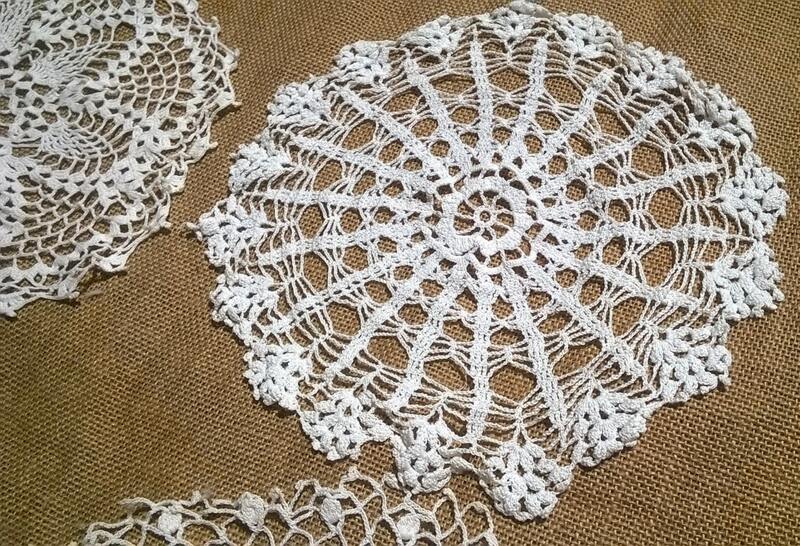 Vintage from 70's made by a Grandma.